It’s not often that an entire book gets me. This one does. Not a clunker in the bunch. 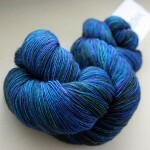 Yarn flexibility – The designs are worked in yarns from laceweight to worsted. 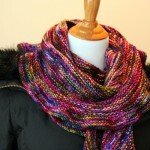 Or use any weight yarn you like. If you substitute a different weight you’ll need to determine the quantity. See my recommendation below about a scale. 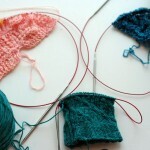 Stitch variety – simple textured stitches, eyelets, twisted stitches, lace and cables. Lots of options depending on your mood. 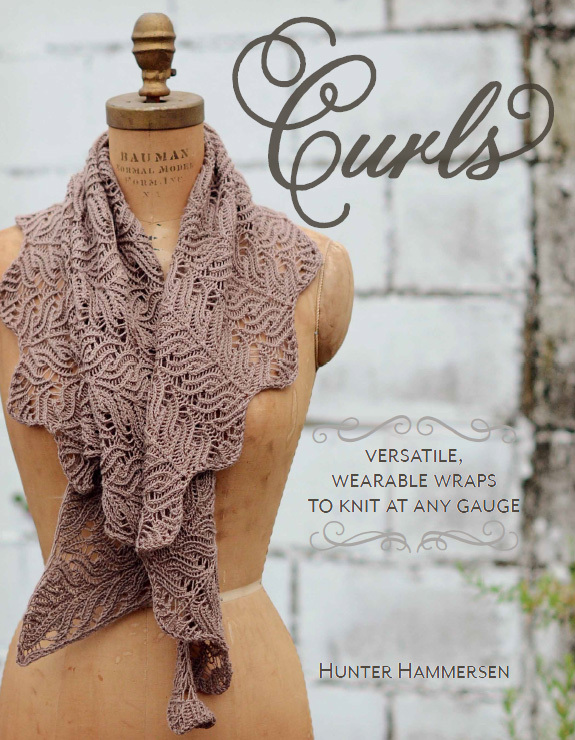 Great shape – I envision new curl patterns popping up all over Ravelry. 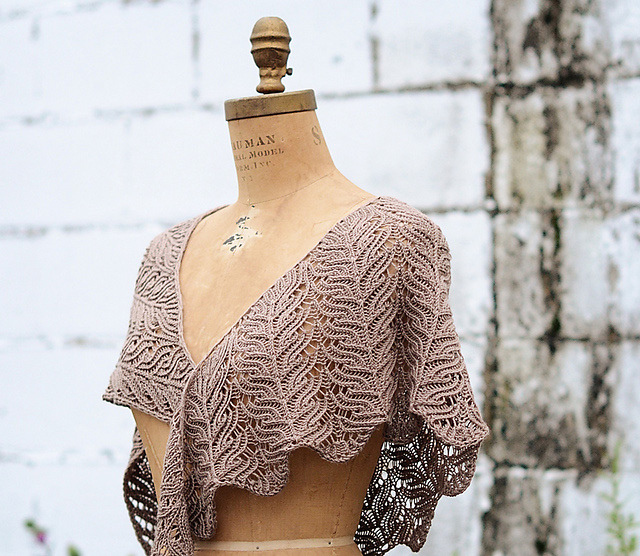 Tells you the important tidbits – no guessing here about which slipped stitch edge to work and since the shape is new to a lot of us, she shows you how each shawl grows so you know what to expect. Lots of other info too. Hunter has you covered. Lovely overview of the new shape – Hunter goes over what makes a Curl a Curl – explaining the main components and giving us enough info in case we want to adjust the size for our yarn. 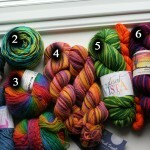 Yarn (Food) Scale – you need to get yourself a scale that weighs in grams. This one from Amazon is a nice choice at under 15 bucks and Amazon Prime – Ozeri Pronto Digital Multifunction Kitchen and Food Scale, Elegant Black . You’ll thank me later. Gauge – If you’re unsure about changing gauges, do up a curl in the recommended weight and needle size first. 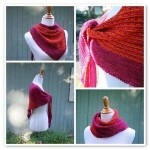 People will start posting projects to Ravelry with different weights so you can learn from them. Helpful pages– read the pages on Hints, Gauge, Needles, Sizing, Charts and Blocking. I know the last thing you want to do is read when you buy a knitting book but she’s included some great info. Styling – Hunter has included several pics with different styling options. Even if you’re not interested in all the Curls, take a look at the ways she’s styled them. 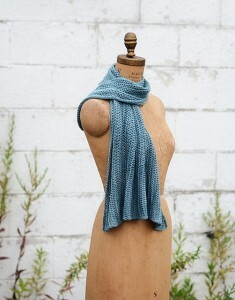 They’re surprisingly versatile and she shows them draped, tied, knotted and with a shawl pin. Stitch Maps – Hunter has included Stitch Maps for many of the projects and she has a chart for every project – making it a great opportunity to learn stitch maps with the accompanying chart. If charts aren’t for you, give Stitch Maps a try. And even if you’re a chart-lover like me, click on to the site – there are over 1,500 patterns there for you to get familiar with Stitch Maps. 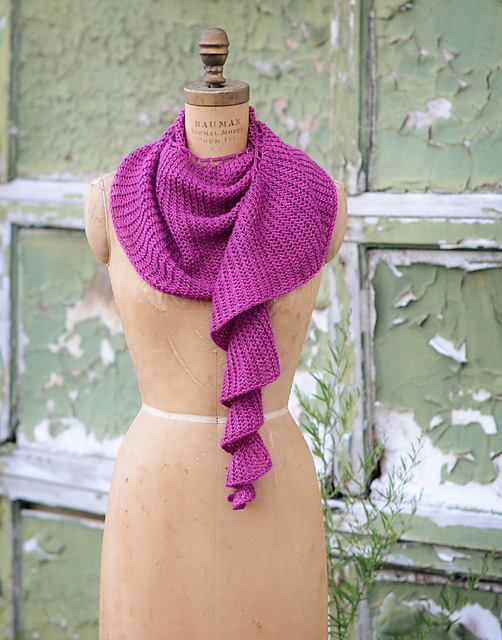 I’m so jazzed about this book – the shape and the stitch patterns look like fun to knit and to wear. Definitely give it a browse! 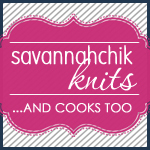 Book Reviews, shawls, scarves and cowls curls, shawl, sock yarn. permalink. ooh good suggestion – i forgot about that option. thanks! Hello, happy holidays. I love all the patterns. 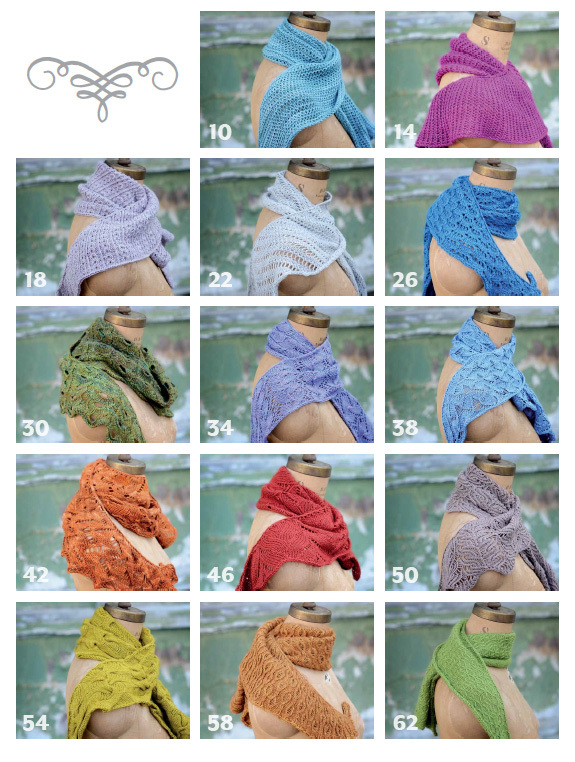 Do they have Crochet patterns with the same styles? This looks fascinating. Just pre-ordered. You had me at the pink one. I pre-ordered the book.